 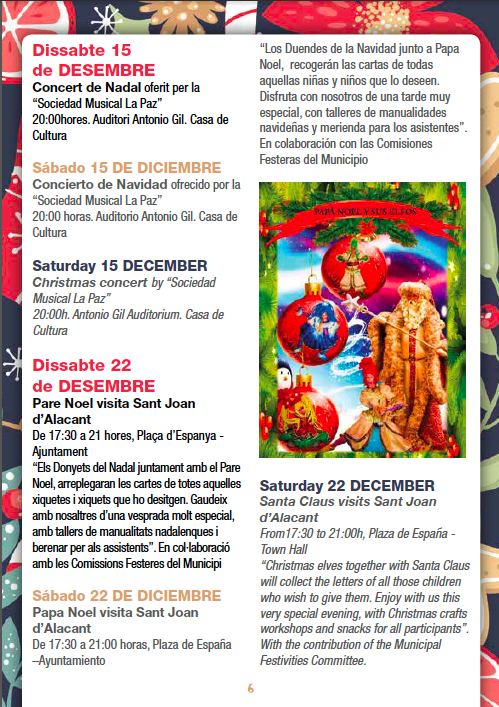 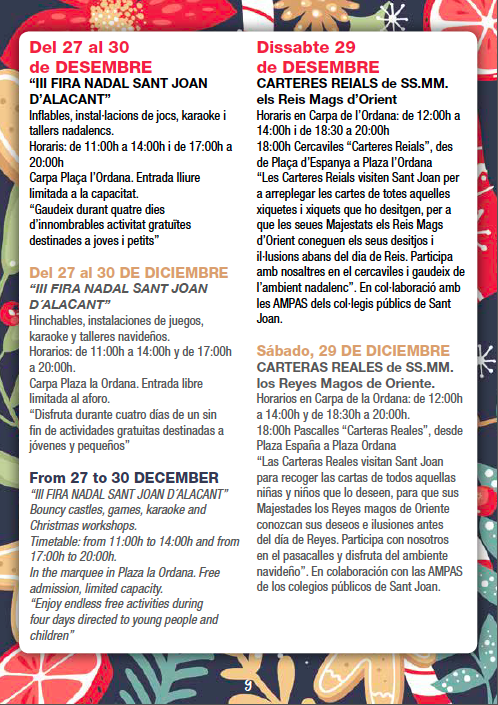 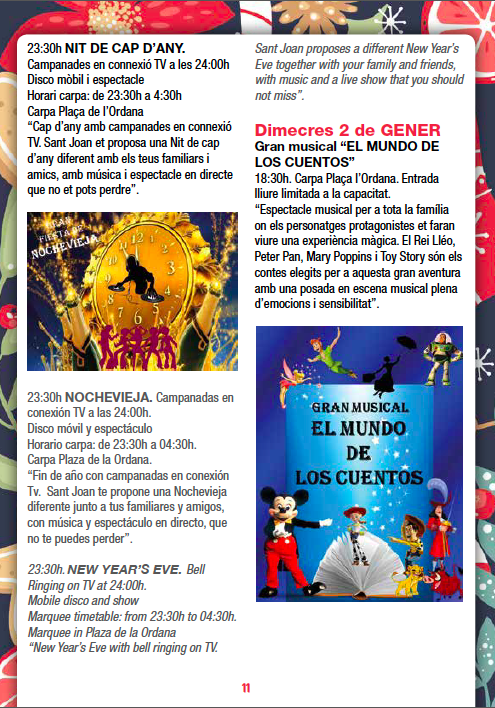 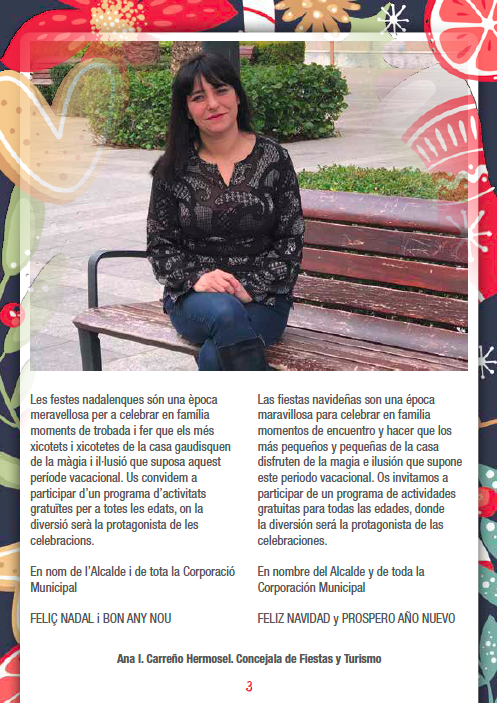 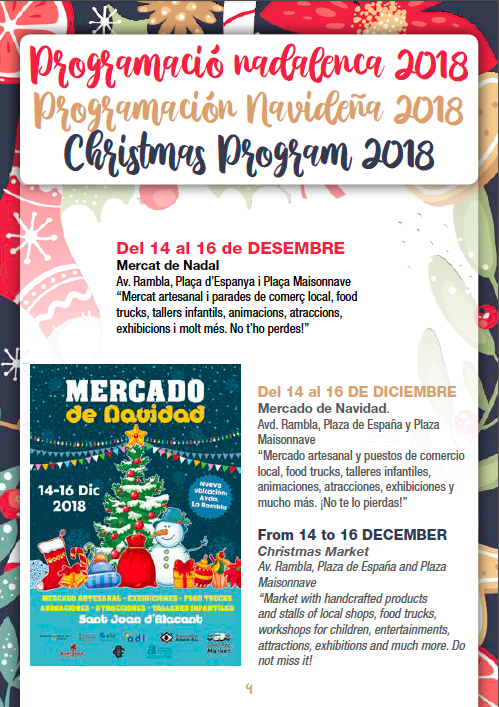 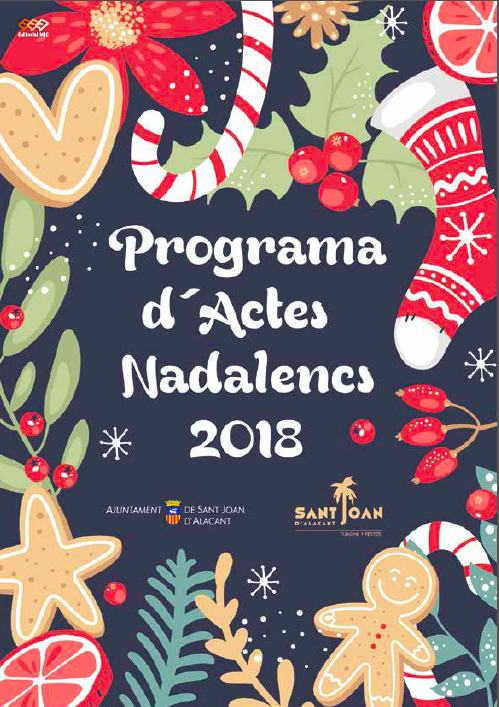 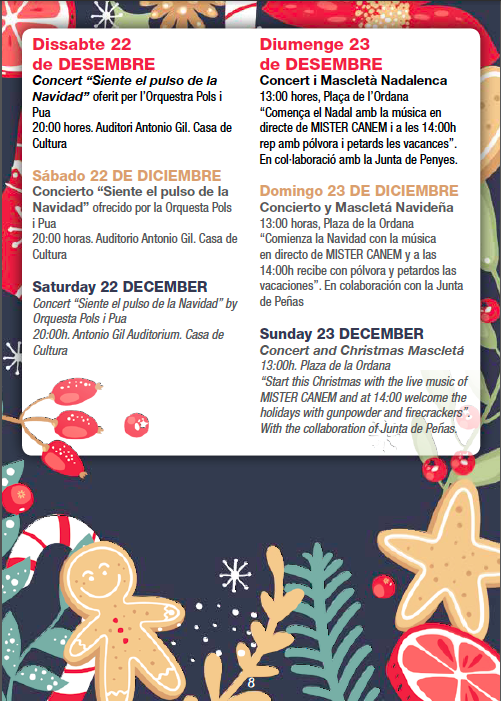 The Council of Sant Joan d’Alacant, through the Departments of Festivals and Tourism, welcomes the Christmas season with the publication of the Christmas Program 2018. 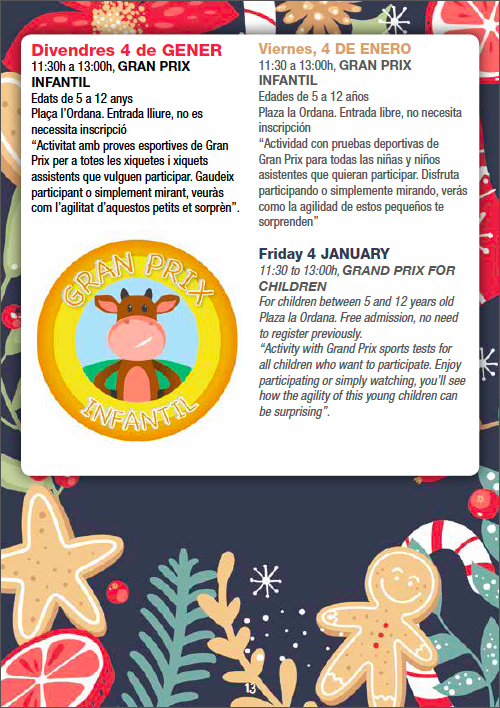 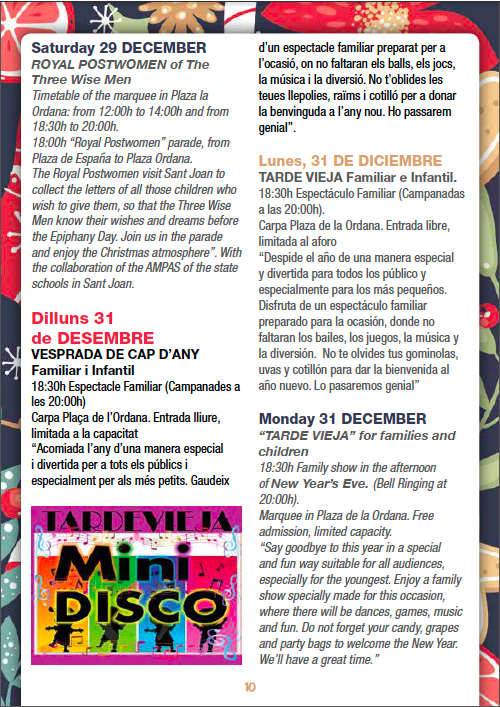 A complete program with numerous free activities so that both, children and adults, can make the most of these dates. 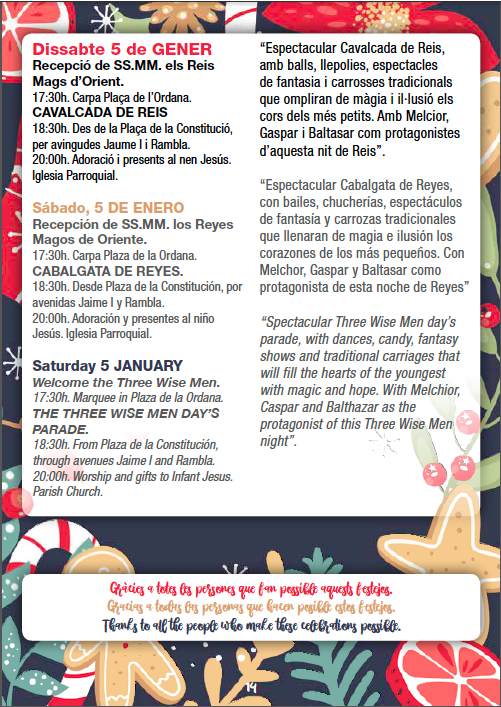 We encourage everyone to come enjoy and participate in the different activities, workshops, bouncy games, concerts and other events that will be held to Saturday 5 January. 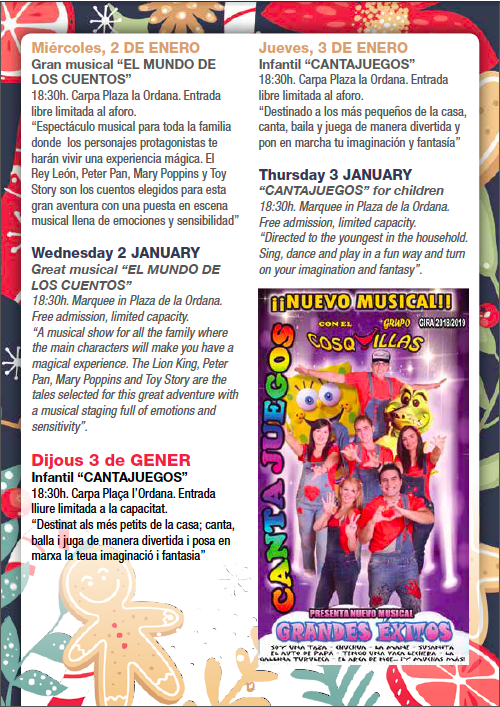 Come and enjoy!.